During the last quarter of the eighteenth century, Samuel Kramsh worked as a collector and supplier of native plants for horticulturists and botanists, including Humphry and Moses Marshall and Benjamin Smith Barton. This manuscript includes an exhaustive record of plant species collected in Pennsylvania and North Carolina during the years 1787-1789. The career of the agricultural chemist Joseph Bridego Lindsey was tied closely to his alma mater, the Massachusetts Agricultural College. A brilliant student, Lindsey earned his bachelor’s degree in 1883 after only three years of study and he launched his professional life at the College, working with his mentor Charles A. Goessmann at MAC and then for the L.B. Darling Fertilizer Company in Pawtucket, Mass. After enrolling at the prestigious Gottingen University and earning his degree in 1891 after only two years, Lindsey returned to Amherst to work at the College’s Experimental Station, where he helped initiate an extension program. Noted for promoting legislation in the state to support research and purity in animal feed, Lindsey rose to become head of the MAC Chemistry Department from 1911 until 1928 and oversaw the creation of the Goessmann Chemistry Laboratory in 1921. He retired from the College in 1932 and died in Amherst on October 27, 1939. The Lindsey collection includes published articles and pamphlets as well as an analysis of the water in the campus pond from 1901, where Lindsey demonstrated that the water was unsafe for human consumption. There is also correspondence from Lindsey’s son about a memorial plaque and portrait of Lindsey, along with several photographs of the former chemist. Susie D. Livers arrived at Massachusetts Agricultural College in 1903 as a member of one of the college’s first co-ed classes. After graduating in 1907, Livers worked at Ginn & Company Publishers in Boston and then as a Detail Officer at the State School for Girls in Lancaster, Massachusetts. Included in the scrapbook are handwritten personal correspondence in the form of letters, postcards, holiday cards, and telegrams; unidentified photographs; MAC report cards dated 1904 and 1907; class papers and a class notebook; and programs and tickets for sporting events, weddings, and campus socials. In the back of the scrapbook are 35 herbarium samples which include dried plants with notations of plant names as well as dates and locations indicating where the plants were found. A native of Northampton, Massachusetts, Benjamin Smith Lyman was a prominent geologist and mining engineer. 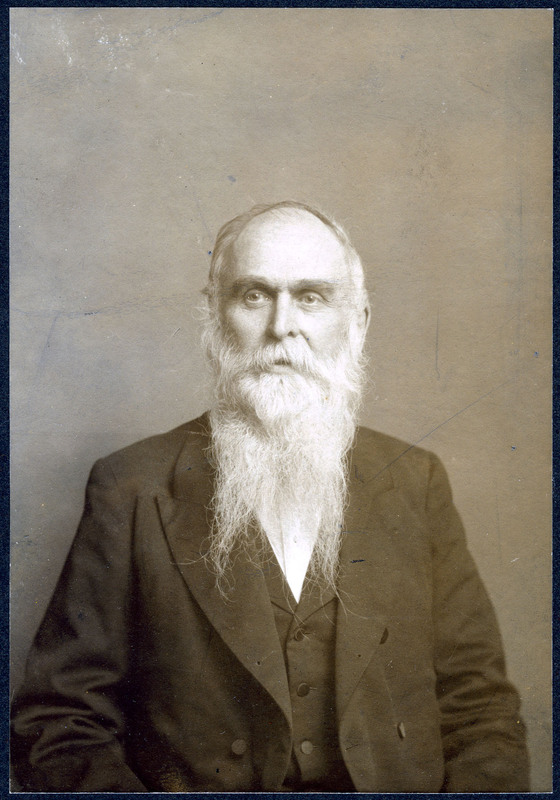 At the request of the Meiji government in Japan, Lyman helped introduce modern geological surveying and mining techniques during the 1870s and 1880s, and his papers from that period illuminate aspects of late nineteenth century Japan, New England, and Pennsylvania, as well as the fields of geology and mining exploration and engineering. From his earliest financial records kept as a student at Phillips Exeter Academy through the journal notations of his later days in Philadelphia, Lyman’s meticulous record-keeping provides much detail about his life and work. 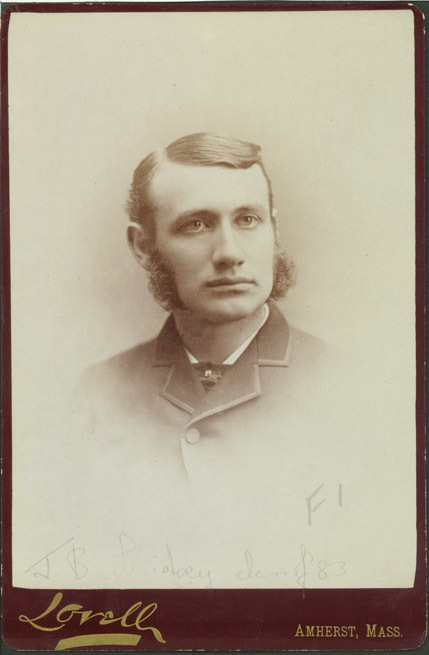 Correspondents include his classmate, Franklin B. Sanborn, a friend of the Concord Transcendentalists and an active social reformer, abolitionist, and editor. The papers, 1848-1911, have been organized into nine series: correspondence, financial records, writings, survey notebooks, survey maps, photographs, student notes and notebooks, collections, and miscellaneous (total 25 linear feet). A separate Lyman collection includes over 2,000 books in Japanese and Chinese acquired by Lyman, and in Western languages pertaining to Asia. An authority in the field of low-temperature physics and superconductivity, Ernest A. Lynton was brought to UMass Amherst in 1973 to serve as the first Vice President for Academic Affairs and Commonwealth Professor of Physics. Lynton was charged with diversifying the student body and broadening the curriculum to emphasize social issues. Born in Berlin Germany in 1926, Lynton received a doctorate in physics from Yale in 1951. He served in his administrative post until 1980, when he took a position as Commonwealth Professor at UMass Boston. Centered largely on Ernest Lynton’s teaching, the collection contains lecture notes and handouts for Physics courses (Physics 107, 171, Concepts in Physics, Thermodynamics, Statistical Physics), a copy of his dissertation Second Sound in He3-He 4 mixtures, and copies of his book on superconductivity in English, German, and French editions. 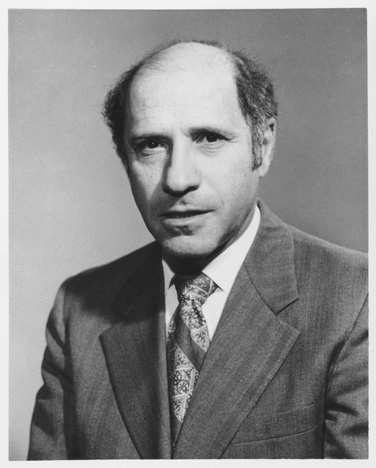 Joseph Sol Marcus arrived at UMass in 1948 as an Instructor in Civil Engineering and graduate student (MS 1954), remaining there for the rest of his career. Born in Oct. 29, 1921, he was educated at Worcester Polytech (BS 1944) and after war-time service with the Navy, he joined the rapidly growing engineering program at UMass. Although chemical engineer, he took responsibility for the fluid mechanics laboratory and taught in civil and mechanical engineering, and after gaining experience through courses from the Atomic Energy Commission and a year spent at Oak Ridge National Laboratories, he introduced nuclear engineering into the curriculum. As he rose through the academic ranks, Marcus became a key figure in university administration, serving as Associate Dean of Engineering, as preceptor for Emily Dickinson House on Orchard Hill, and Special Assistant to the Chancellor for long-range planning, while serving on committees for military affairs, Engineering hopnors, transfers and admissions, discipline, and Continuing Education. Marcus died of cancer on Nov. 1, 1985. Marcus Hall was named in his honor. The Joseph Marcus Papers document Marcus’s extensive involvement in campus affairs at UMass Amherst, with an emphasis on the period 1965-1975. A small quantity of material relating to his profession activities and academic appointments is joined by well organized files relating to his participation in committees of Engineering honors, Military Affairs (1967-1968), the Orchard Hill residential college and Emily Dickinson House (1964-1969), ROTC and AFROTC curricula, transfers and admissions, the library, Upward Bound, Discipline (1964-1971), and Continuing Education (1970-1977). The environmental chemist John R. Marier (1925-1992) joined the staff of the Applied Biology Division of the National Research Council of Canada (NRCC) as a “laboratory helper” in Aug. 1943 and though entirely without university training, worked his way up to laboratory technician and, by 1967, into the ranks of professional staff. His early work on food and dairy chemistry grew into sustained research into the quantitative chemical analysis of biological tissues. Beginning in the mid-1960s, he wrote frequently on the environmental and physiological impact of fluoride, culminating in his 1971 report, Environmental Fluoride, and is noted as an important figure in raising concern over its role as “a persistent bioaccumulator.” Marier retired from the NRCC in 1985, but remained active in the field for several years, expanding into research on magnesium and its function in muscle contraction. Marier died of a massive cardiac and pulmonary failure on Mar. 4, 1992. The Marier Papers are a particularly rich record of correspondence and notes on the impact of fluoridation from a Canadian specialist in environmental chemistry.